"This is the best guest list the Pacific Northwest has ever seen," says Stephen Shamus, ACE Comic Con President. "To have Chris Evans, Chris Hemsworth, and Tom Hiddleston - three global superstars - while the multi-billion dollar Avengers film franchise continues to smash box office records - is an absolute coup for the fans of Seattle, and followers of the Marvel Cinematic Universe. 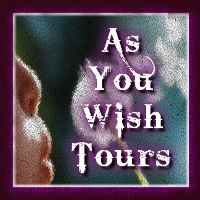 We will be announcing more guests shortly." Chris Evans, Chris Hemsworth, and Tom Hiddleston, stars of the worldwide hit Avengers film franchise, are headlining ACE Comic Con Seattle, June 22-23-24 at the WaMu Theater & CenturyLink Field Event Center. Additional guests will be announced soon. VIP Admissions, Photo Ops, Autographs, and General Admission tickets go on sale Thursday, March 29, 2018 at 10am Pacific Time via aceuniverse.com. ACE Comic Cons are produced by ACE Universe, a multimedia and experiential events company representing the Voice of The Superhero Generation. Created by brothers Gareb and Stephen Shamus, who have over 20 years of experience and 175 Comic Con shows under their belts, ACE is redefining the entire Comic Con industry and business. ACE Comic Con Seattle is the next installment of the already successful ACE Comic Con brand. Prior events featured such global icons as Gal Gadot (Wonder Woman),Henry Cavill (Superman), Tom Holland (Spider-Man), Jason Momoa (Aquaman), Stan Lee (Marvel), and many more. "We are excited to bring the Seattle and Pacific Northwest fans the premium-level event they deserve," says Gareb Shamus, ACE Universe CEO. 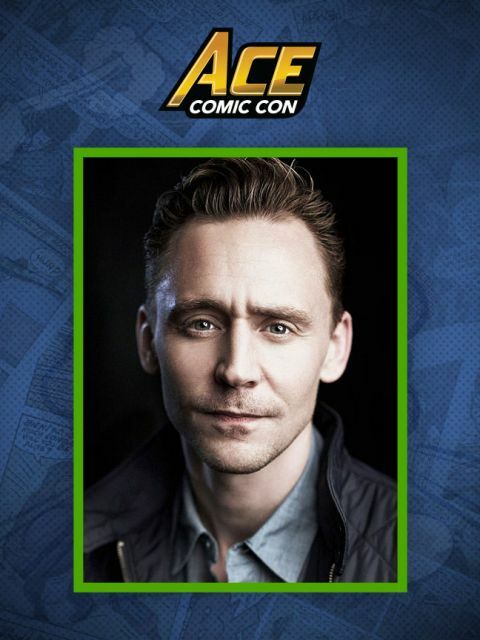 "ACE's goal is to deliver a Comic Con experience worthy of fans who live in a virtual and digital universe. 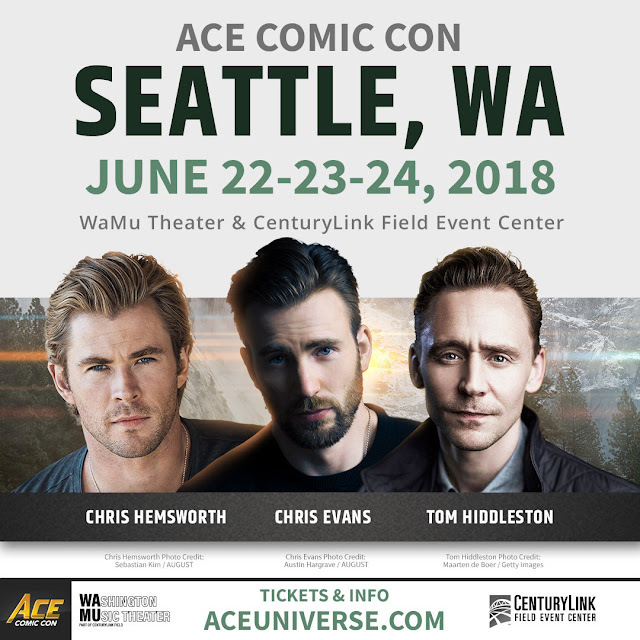 ACE Comic Con Seattle will feature celebrity interviews, multi-staged interactive workshops, and presentations by top creators from writers and show-runners, to costume designers and special effects artists." Chris Evans has emerged as a director and one of Hollywood's most in-demand actors for both big budget and independent features. Chris can next be seen in back-to-back sequels of “Avengers.” Disney will release the third Avengers film, titled “Avengers: Infinity War” on April 27, 2018. The fourth Avengers film is expected to release in May of 2019. Additionally, he recently wrapped production on Gideon Raff’s “Red Sea Diving Resort.” Evans stars as Ari Kidron, a charming Israeli agent who assembles a team to help with the rescue and transport of Ethiopian Jews to Israel in 1981. Evans recently made his Broadway debut in Kenneth Lonergan’s “Lobby Hero” on March 26, 2018. The play opened to rave reviews. Ben Brantley from the New York Times called it “a terrific Broadway debut” and said, “Mr. Evans is a marvel.” Chris stars alongside Michael Cera and Bel Powley. The play, directed by Trip Cullman, centers on a slacker security guard, a veteran police officer and murder investigation. His run is scheduled to conclude in May of 2018. In 2017, Chris starred in Marc Webb’s “Gifted” alongside McKenna Grace, Octavia Spencer and Jenny Slate. The film follows a man (Evans) who sues for custody of his 7-year-old, intellectually gifted niece. Fox Searchlight released the film April 12, 2017. In 2016, Evans starred in “Captain America: Civil War,” the highly anticipated third installment to 2011's “Captain America: The First Avenger” and 2014's “Captain America: The Winter Soldier.” Evans reprised his role as the famed Marvel Comics character, Steve Rogers. In this film, after the government sets up a governing body to oversee the Avengers, the team splinters into two camps—one led by Steve Rogers and his desire for the Avengers to remain free to defend humanity without government interference, and the other following Tony Stark’s surprising decision to support government oversight and accountability. The film was released by Disney on May 6, 2016 and is the top grossing film of 2016 with more than $1.1 billion worldwide. Evans marked his feature film directorial debut with “Before We Go”. He also produced and starred in the film alongside Alice Eve and Mark Kassen. The film premiered at the 2014 Toronto International Film Festival and was released by Radius on September 14, 2015. Prior to its release, the film garnered $1.53 million in VOD and was the first pre-theatrical film of 2015 to reach both the top 5 on iTunes and the top 10 on Rentrak’s weekly digital chart. Evans starred in Marvel’s “Avengers: Age of Ultron” opposite Robert Downey Jr., Samuel L. Jackson, Scarlett Johansson, Mark Ruffalo and Chris Hemsworth. Disney released the film May 1, 2015 and to date it has grossed over $1.4 billion worldwide. Evans was seen in "The Avengers" in 2012 which in its opening weekend, smashed previous domestic records and continued its box office success with a current worldwide gross of over $1.5 billion. Evans also starred in Bong Joon-ho's "Snowpiercer" opposite Octavia Spencer, Tilda Swinton, John Hurt and Ed Harris. Set in a world covered in snow and ice, the film follows a train full of travelers who struggle to co-exist. The Weinstein Company released the film June 27, 2014. His other film credits include Ariel Vroman’s drama “The Iceman” opposite Michael Shannon; Mark Mylod's comedy "What's Your Number?" opposite Anna Faris; Edgar Wright's action comedy, "Scott Pilgrim vs. the World," opposite Michael Cera; Sylvain White's "The Losers" with Jeffrey Dean Morgan and Zoe Saldana; "Push" opposite Dakota Fanning; "Street Kings" with Keanu Reeves and Forest Whitaker; “Fantastic Four: Rise of the Silver Surfer" opposite Jessica Alba, Michael Chiklis and Ioan Gruffudd; and Danny Boyle's critically acclaimed "Sunshine." Additional credits include "The Loss of a Teardrop Diamond," "Cellular," "The Perfect Score," "Fierce People," “Puncture” and the romantic drama "London." Evans' first cinematic role was in the 2001 hit comedic spoof, "Not Another Teen Movie." CHRIS HEMSWORTH has become one of the most popular and sought-after actors in Hollywood. 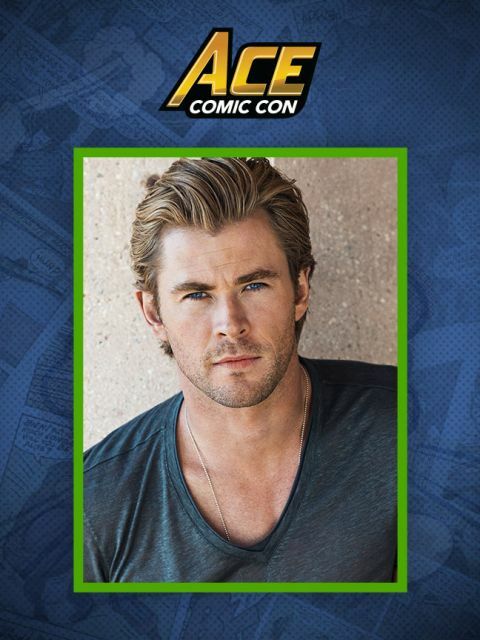 In 2012, he starred as Thor in the fifth-highest-grossing film of all time, Marvel’s “The Avengers.” In 2015, Hemsworth starred in the second installment of the global juggernaut “The Avengers” franchise, “The Avengers: Age of Ultron.” He can next be seen in “Avengers: Infinity War,” in theatres April 27th, 2018 and recently wrapped filming on the fourth film of the franchise. Hemsworth currently stars alongside Michael Shannon, Michael Pena, William Fichtner and Trevante Rhodes in Nicolai Fuglsig’s “12 Strong” which tells the story of the first Special Forces team deployed to Afghanistan after 9/11. He is currently in production on Drew Goddard’s “Bad Times at the El Royale,” with Jeff Bridges. Hemsworth had earlier been introduced as the hammer-wielding super hero in the 2011 hit “Thor,” directed by Kenneth Branagh. Reprising the title role, starring in “Thor: The Dark World” in 2013 and in the third installment, “Thor: Ragnarok,” released in 2017. Born and raised in Australia, where he started his acting career, Hemsworth made his U.S. feature film debut in J.J. Abrams’ blockbuster “Star Trek,” playing the pivotal role of George Kirk. His additional film credits include Paul Feig’s comedy “Ghostbusters,” alongside Melissa McCarthy, Kristen Wiig, Kate McKinnon and Leslie Jones; the comedy “Vacation,” with Ed Helms, Christina Applegate, and Leslie Mann; and in Ron Howard’s, “In The Heart Of The Sea”. He had previously collaborated with Howard on the true-life drama “Rush,” portraying famed Formula One driver James Hunt. Among his favorite charities, Hemsworth supports the Australian Childhood Foundation. After he was seen in a production of A STREETCAR NAMED DESIRE by Lorraine Hamilton of the notable actors’ agency Hamilton Hodell, Tom Hiddleston was given his first television role in Stephen Whittaker’s adaptation of NICHOLAS NICKLEBY (2001) for ITV, starring Charles Dance, James D’Arcy and Sophia Myles. Roles followed in two one-off television dramas co-produced by HBO and the BBC. The first was CONSPIRACY (2001), a film surrounding the story of the Wannsee Conference in 1942 to consolidate the decision to exterminate the Jews of Europe. The film prompted Tom’s first encounter with Kenneth Branagh who took the lead role of Heydrich. The second project came in 2002 in the critically acclaimed and Emmy Award-winning biopic of Winston Churchill THE GATHERING STORM, starring Albert Finney and Vanessa Redgrave. Tom played the role of Randolph Churchill, Winston’s son, and cites that particular experience – working alongside Finney and Redgrave, as well as Ronnie Barker, Tom Wilkinson, and Jim Broadbent – as extraordinary; one that changed his perspective on the art, craft and life of an actor. Tom graduated from RADA in 2005, and within a few weeks was cast as Oakley in the British independent film UNRELATED by first-time director Joanna Hogg. UNRELATED premiered at the Times BFI 51st London Film Festival in 2007 where it was awarded the FIPRESCI International Critics’ Award. The film went on to win the Guardian First Film Award and was nominated for the Evening Standard Best Film Award and the Critics’ Circle Breakthrough Filmmaker Award. It was also cited as the 21st best film of the decade by the Guardian newspaper. Following this, Tom met Declan Donnellan, Artistic Director of the award-winning theatre company Cheek By Jowl and was cast as Alsemero in THE CHANGELING by Thomas Middleton, starring alongside Olivia Williams and Will Keen. The production toured Europe for six months in 2006 and ran in the main house at the Barbican in London for six weeks. For THE CHANGELING Tom was nominated for the 2006 Ian Charleson Award, which recognizes exceptional classical stage performances by actors under the age of 30. In 2007 Cheek By Jowl once again asked Tom to perform for them as the hero, Posthumus Leonatus, and the anti-hero Cloten, in Declan Donnellan’s production of Shakespeare’s late romance, CYMBELINE. The production toured the world for seven months in 2007, playing in New York, Milan, Paris, Moscow, Madrid, and in London at the Barbican. The Guardian praised Tom’s performance: “The masterstroke of Donnellan’s production is to have both Posthumus, who comes to doubt Imogen’s fidelity, and Cloten played by the same actor, Tom Hiddleston. Remember that name, because one day the lad is going to be a star, and deservedly so”. The Sunday Times agreed that Tom stole the show: “Tom Hiddleston plays Cloten as a snooty Hooray Henry, giving the outstanding performance of the evening”. Later that summer, Tom shot the period BBC drama, MISS AUSTEN REGRETS, about the last five years of Jane Austen’s life. He starred as John Plumptre alongside Olivia Williams, Imogen Poots, Hugh Bonneville and Greta Scacchi. It went on to win both a BAFTA Award and a Writer’s Guild of Great Britain Award. It was on the strength of his performance in CYMBELINE that Tom was invited to audition to play Cassio in Michael Grandage’s production of OTHELLO at the Donmar Warehouse, starring Ewan McGregor, Chiwetel Ejiofor, and Kelly Reilly. The play opened to extraordinary reviews. The Independent on Sunday said: ‘McGregor is actually outshone by Tom Hiddleston a barely known newcomer and name to watch. His youthful Cassio is startlingly charismatic and dangerous in its own way, naively mixing professional duty with womanising’. Tom was nominated twice in the category of Best Newcomer at the 2008 Laurence Olivier Awards for CYMBELINE and OTHELLO. He won the award for his performance in CYMBELINE. In 2008 Tom joined forces with Kenneth Branagh again to film the first series of WALLANDER, a BAFTA and Broadcasting Press Guild Award-winning and Emmy, Golden Globe and Satellite Award-nominated television series based on the detective novels by Swedish author Henning Mankell. In the same year Tom went on to star in the Donmar Warehouse/West End production of Chekhov’s IVANOV, again opposite Branagh, as well as Gina McKee and Andrea Riseborough. In addition to shooting the second series of WALLANDER in 2009, Tom starred in the second series of the highly acclaimed BAFTA and Emmy award-winning RETURN TO CRANFORD, starring opposite Judi Dench and Jonathan Pryce. In 2009 Tom also filmed Joanna Hogg’s second film ARCHIPELAGO, in which he played the lead role. 2011 saw Tom excel in a number of projects including MIDNIGHT IN PARIS, where he was seen as F. Scott Fitzgerald alongside Owen Wilson, Rachel McAdams and Michael Sheen. The film opened the Cannes Film Festival and went on to achieve the highest gross of any of Woody Allen’s films in North America. In 2011, Tom was also seen in his breakthrough role in Steven Spielberg’s Oscar and Golden Globe nominated film WAR HORSE, as Captain Nicholls. He was cast alongside Jeremy Irvine, Emily Watson, David Thewlis, Benedict Cumberbatch and Eddie Marsan. The film is based on Michael Morpurgo’s novel of the same name. WAR HORSE tells the story of Joey, a horse who is raised by British teenager Albert. Joey is soon bought by the British army and forced to live through the experience and tragedies of WW1. Tom was seen starring in his first Hollywood Blockbuster as the villain Loki in Kenneth Branagh’s THOR for Marvel, a role that he reprised in the 2012 blockbuster hit Marvel movie THE AVENGERS. The film was received with positive reviews and set numerous box office records, including the biggest opening weekend in North America, tied the record for the fastest film to gross $1 billion worldwide and became the third highest-grossing film. In 2013, Tom won the Best Villain award at the MTV Movie Awards for his role in THE AVENGERS as well as Best Fight, which he shared with Robert Downey Jr., Chris Evans, Mark Ruffalo, Chris Hemsworth, Scarlett Johansson and Jeremy Renner. 2012 saw Tom nominated for a BAFTA Rising Star Award and an Evening Standard Film Award in the Best Actor category for his roles in Joanna Hogg’s ARCHIPELAGO & Terence Davies’s THE DEEP BLUE SEA. Tom was the winner of the British Rising Star Award at The Richard Attenborough Regional Film Awards and won Best Male Newcomer for his role in THOR at the 2012 Empire Awards. Tom was named Glamour magazine’s Man of the Year and also World’s Hottest Actor by Total Film magazine. Also in 2012, Tom was seen on our screens portraying Prince Hal in HENRY IV PARTS 1&2 and the title role in HENRY V which aired on the BBC as part of the highly anticipated Cultural Olympiad. The series received rave reviews, with many reviewers singling Tom out for his outstanding performance. Tom won the Times Breakthrough Award for this role at the 2013 South Bank Sky Arts Awards. In October 2013, Tom returned to his role as Loki in THOR: THE DARK WORLD, alongside an all-star cast including Chris Hemsworth, Natalie Portman and Idris Elba. The film went to the top of the North American charts with an estimated $86.1m, producing the ninth biggest November debut in history. Tom received excellent personal reviews, with Dave Fawbert from Shortlist calling Tom “the star of the show” and The Hollywood Reporter’s Leslie Felperin, claiming that Tom “steal(s) the whole show”. He was nominated for the Best Supporting Actor role at the 2014 Empire Awards for his role in THOR: THE DARK WORLD, as well as the Favourite Character award at the MTV Movie Awards. Tom was also seen in a cameo role in Joanna Hogg’s, EXHIBITION. The film received its world premiere at the 2013 Locarno Film Festival and was also screened at the BFI London Film Festival in 2013. In December 2013, Tom returned to the Donmar Warehouse, to play the title role in Shakespeare's searing tragedy of political manipulation and revenge, CORIOLANUS. Tom starred opposite Hadley Fraser and Mark Gatiss and was directed by the Donmar's Artistic Director, Josie Rourke. His performance received rave reviews, cited as “magnificent” by Paul Taylor from The Independent, as well as Charles Spencer from The Telegraph defining Tom’s performance as “compelling and persuasive”. The production ran until 13th February 2014. CORIOLANUS was also broadcast to cinemas around the world on 30th January in partnership with National Theatre Live. Tom was honoured with the award for Best Actor at the 60th London Evening Standard Theatre Awards and was also nominated for the Best Actor award at the 2014 Olivier Awards for this performance. In February 2014, Tom starred opposite Tilda Swinton, John Hurt and Mia Wasikowska in Jim Jarmusch’s ONLY LOVERS LEFT ALIVE. The film premiered at the 2013 Cannes Film Festival in competition for the prestigious Palme d'Or award. The film then received a warm response at the 2013 Toronto International Film Festival where critics described it as ‘hypnotic, dreamlike and mesmerizing.’ The feature also screened at the 2013 BFI London Film Festival, as well as the 51st New York Film Festival; where it was in competition for ‘Official Selection’. Tom was also heard in Disney’s TINKER BELL AND THE PIRATE FAIRY, alongside Christina Hendricks and was also seen in The Muppets sequel, MUPPETS MOST WANTED. Tom went on to receive the ELLE Man of The Year Award at the ELLE Style Awards in February 2014. In 2015, Tom was seen starring in Guillermo del Toro’s Gothic thriller, CRIMSON PEAK, alongside Academy-Award-nominee Jessica Chastain, Mia Wasikowska and Charlie Hunnam. The film tells the story of an aspiring author who is torn between love for her childhood friend and the temptation of a mysterious outsider in the aftermath of a family tragedy. Tom is also known for his leading role in Ben Wheatley’s thriller HIGH-RISE, alongside an all-star cast including Jeremy Irons, Luke Evans, Sienna Miller and Elisabeth Moss. The story charts the lives of affluent residents of a futuristic apartment block, in which all modern amenities are contained, leaving them cut off from the rest of society. It’s an unnerving tale of life running out of control as residents become driven by their primal urges. Tom lead the cast in the role of Doctor Robert Laing, who is fascinated by the building, forming a relationship with the architect’s aide Charlotte (Sienna Miller). HIGH-RISE is based on J.G Ballard’s acclaimed 1975 novel of the same name and premiered at the 2015 Toronto International Film Festival. HIGH-RISE was also shown as part of the gala premieres at Zurich Film Festival and was featured in the competition line-up at the San Sebastian Film Festival. Last year, Tom received a nomination for Best Leading Actor for his role in HIGH RISE at the 2015 Moët British Independent Film Awards. Tom also starred in I SAW THE LIGHT, the independent biopic about the country music icon Hank Williams. Directed by Marc Abraham, the film is based on Colin Escott, George Merritt and William MacEwen's 1994 book, Hank Williams: The Biography. Born in 1923 in Alabama, Hank Williams broke out in the post-World War II era with the song “Move It on Over.” The film covered the country-music legend’s rise, his volatile relationship with his wife (played by Elizabeth Olsen), and his struggles with substance abuse and spina bifida occulta — all before his death at the age of 29. The film premiered at the Toronto Film Festival 2015. At the beginning of 2016, Tom was seen starring opposite Hugh Laurie in the television adaption of John le Carre’s novel THE NIGHT MANAGER. 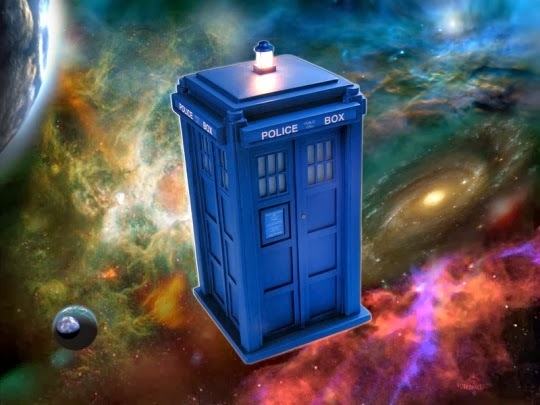 BBC One, The Ink Factory and AMC co- produced the series. A contemporary interpretation of le Carré’s espionage drama and the first television adaptation of a John le Carré novel in more than 20 years, THE NIGHT MANAGER is a fusion of a spy story and a tale of organized crime. The novel was a best-seller in the US and the UK and was translated into over 20 languages, selling over a million copies in North America alone. Tom was nominated for an Emmy Award and won a Golden Globe for his performance as Jonathan Pine in the ‘Best Performance by an Actor in a Limited Series or a Motion Picture Made for Televison’ category at the Golden Globe Awards 2017. 2017 saw Tom also star in Legendary’s King Kong origins story, KONG: SKULL ISLAND, directed by Jordan Vogt-Roberts. Tom starred alongside Brie Larson, Samuel L. Jackson, John Goodman and John C. Reilly. Set in the 1970s, the film follows a team of explorers who are brought together to adventure into an island in the Pacific and into the domain of a mythical giant gorilla known as Kong. Last year, Tom was seen reprising his role as Thor’s adoptive brother, Loki, in the seventeenth film installment of the Marvel Cinematic Universe, in THOR: RAGNORAK. Directed by Taika Waititi, the film grossed $852.8M, making it the third Marvel movie to top $800M in 2017. Last year, Tom won the Empire Hero Award at the Empire Awards. Tom’s most recent project sees him lend his voice to Aardman Animations’ EARLY MAN, where he plays the role of Lord Nooth. Directed by Nick Park, the stop-motion comedy film bases itself on a caveman who traces the world’s first game of football. Tom stars alongside Eddie Redmayne and Maisie Williams. Next up, Tom will star in the highly anticipated AVENGERS: INFINITY WAR, which premiers in the US on 23rd April. Tom will return as the villainous Loki, alongside a stellar cast including Scarlett Johansson, Idris Elba, Benedict Cumberbatch, Chris Hemsworth and many more. AVENGERS: INFINITY WAR is directed by Anthony and Joe Russo and is the latest Marvel Studios production. 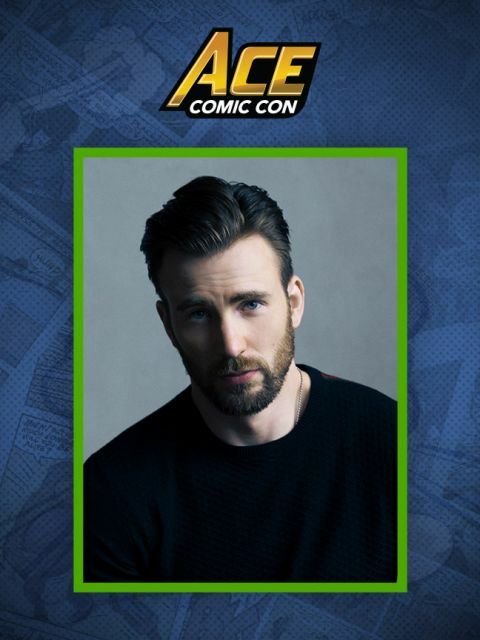 ⏩ Stay tuned as ACE Universe will announce additional 2018 dates, cities and ticket information at aceuniverse.com and on the ACE Comic Con social channels at Facebook.com/acecomiccon or @acecomiccon on Instagram and Twitter.